Our wellness plans are designed to help keep your cat healthy and thriving! Signing up is simple and easy, and plans include all of the preventative wellness care recommended for your cat each year. Wellness plans are tailored for different life stages (kitten, adult, senior), and are a cost-effective way to ensure that your cat gets all the preventative care that is recommended. 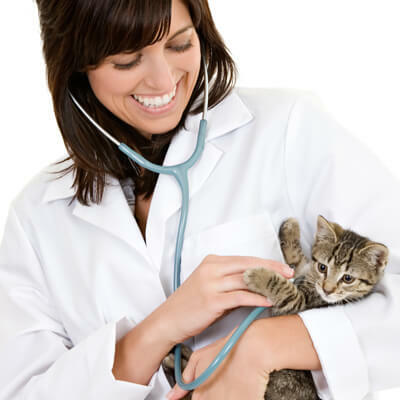 In addition, signing your cat up for a wellness package entitles you to free physical exams in case of illness. Add-on dental plans are available to add to any wellness plan at the time of plan purchase. As a convenience to our clients, we also now offer automatic monthly payments for wellness plans, to help spread the cost of preventive care over the year. Once purchased, wellness plans are in effect for 1 year from the date of purchase. Any services not used will not be refunded. Unused services may not be postponed for use at a later date. Coverage for vaccines is only included for 1 dose each year (with the exception of kitten packages). Clients may not present their cat at the end of the 1 year enrollment period to receive vaccines that were previously administered under the existing package. We make every effort to ensure that patients receive all of their recommended services (postcards, telephone calls), but it is ultimately the client's responsibility to ensure that they schedule appointments and bring the pet in for recommended services. Please call the office for current wellness plan pricing or for more information.